Dr David Price from the Biostatistics Unit in the Centre for Epidemiology & Biostatistics was interviewed by RMIT ABC Fact Check. Australia is well into the midst of winter, and with the cold weather comes flu. Last year saw the highest levels of flu activity in Australia since the 2009 swine flu pandemic. 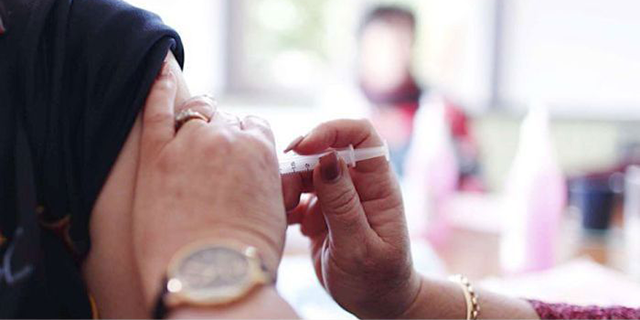 This year Australians wanting to be vaccinated against the flu mobilised in unprecedented numbers, forcing the Federal Government to order an additional 800,000 vaccines. But the effectiveness of the vaccine was called into question by professor of Public Health at Bond University, Chris Del Mar, in an interview with Neil Mitchell on 3AW. So, are your chances of getting the flu after a vaccination only decreased by 1 to 2 per cent? RMIT ABC Fact Check finds out.